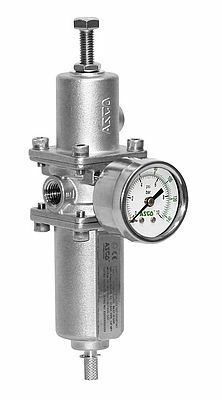 ASCO introduces a compact stainless steel filter regulator as an addition to their existing range. Boasting the highest flow rate on the market for its size, the new product is ideally suited for the control of process actuators when a compact solution is required without compromising on actuator opening and closing speeds. The compact filter regulator complements an existing range of high flow stainless steel and aluminium filters, regulators and filter regulators. Suitable for harsh environment applications it is available in ¼” size.